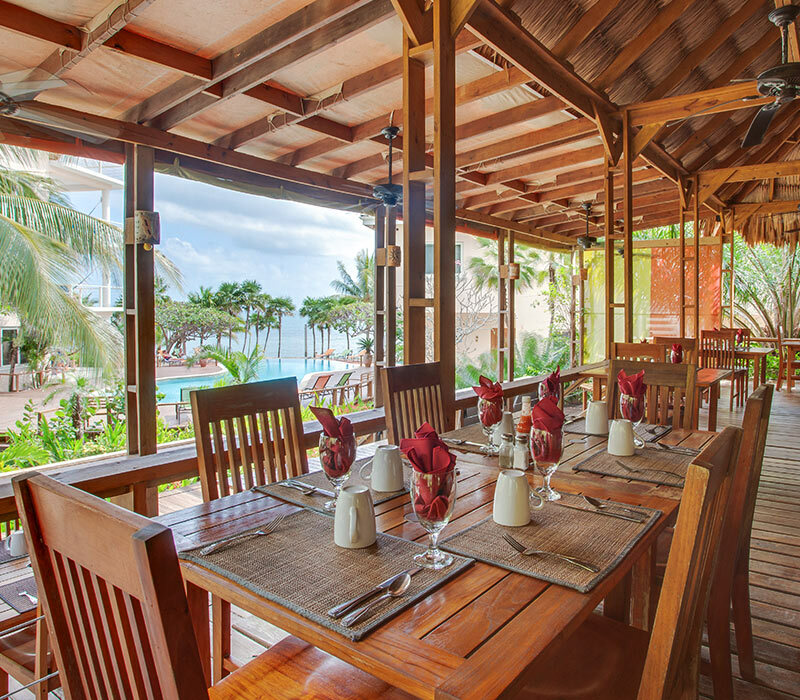 As a full-service resort, Laru Beya provides several complimentary amenities and activities to guests ensuring that adventure is always waiting right outside your front door. Tucked in the heart of the resort, our pool is the perfect place to go for a relaxing swim along the infinity’s edge overlooking the Caribbean Sea. 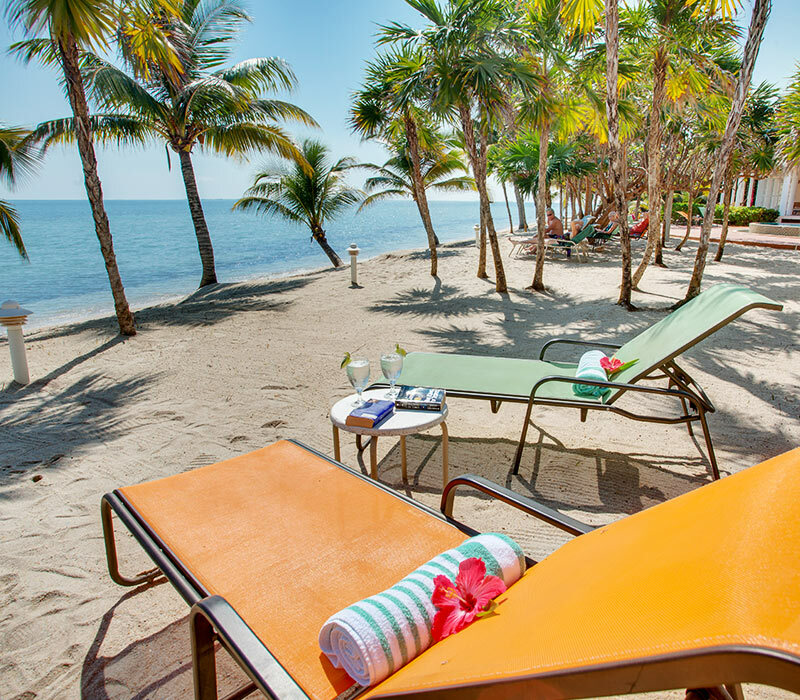 As an oceanfront resort, Laru Beya is an ideal location for enjoying Placencia’s beautiful beach. Relax on a lounge chair, dig your feet into the sand, or go swimming in the calm, warm water. 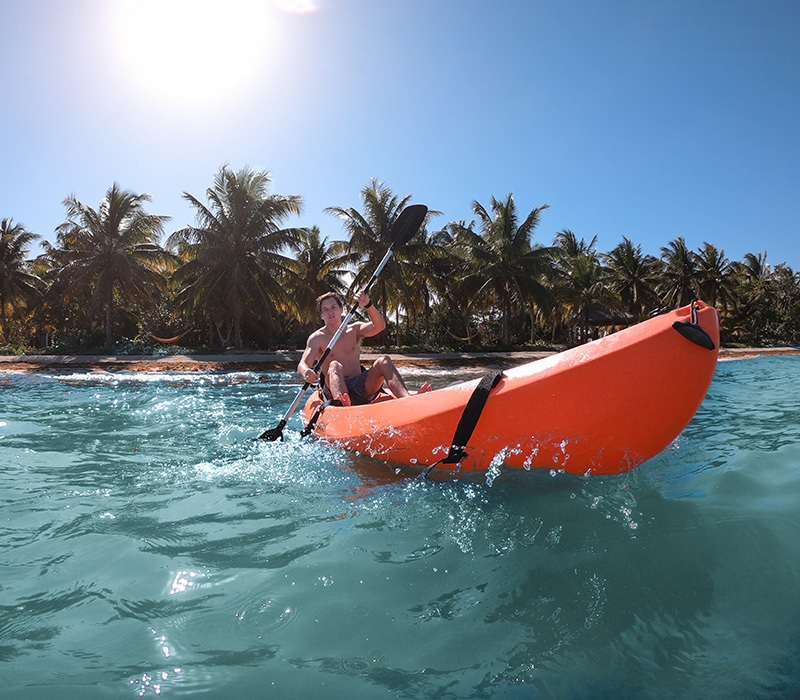 Laru Beya offers a variety of water-sport equipment to guests, including kayaks and Hobie Cat sailboats. Whether you want to go exploring in town or just feel like stretching your legs, take a ride on one of our complimentary bicycles. 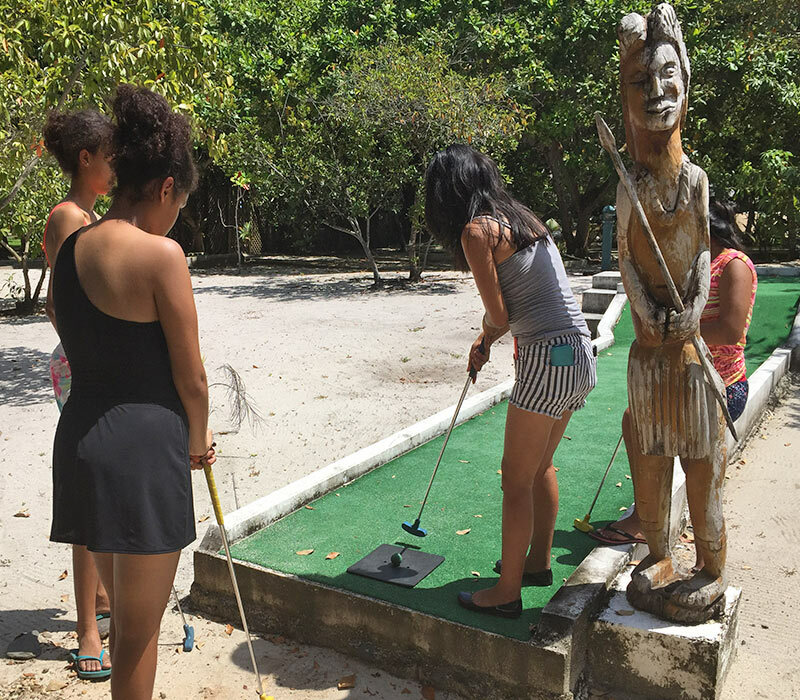 Nestled among tropical trees, our miniature golf course is fun for both children and adults. 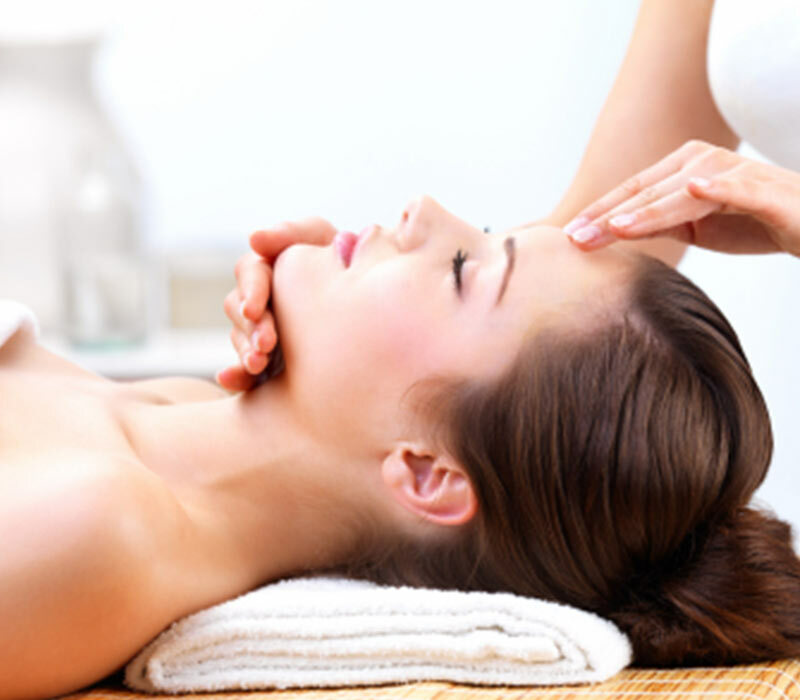 Front desk can arrange for in-room massages, facials, manicure/pedicures, haircuts, and body scrubs. 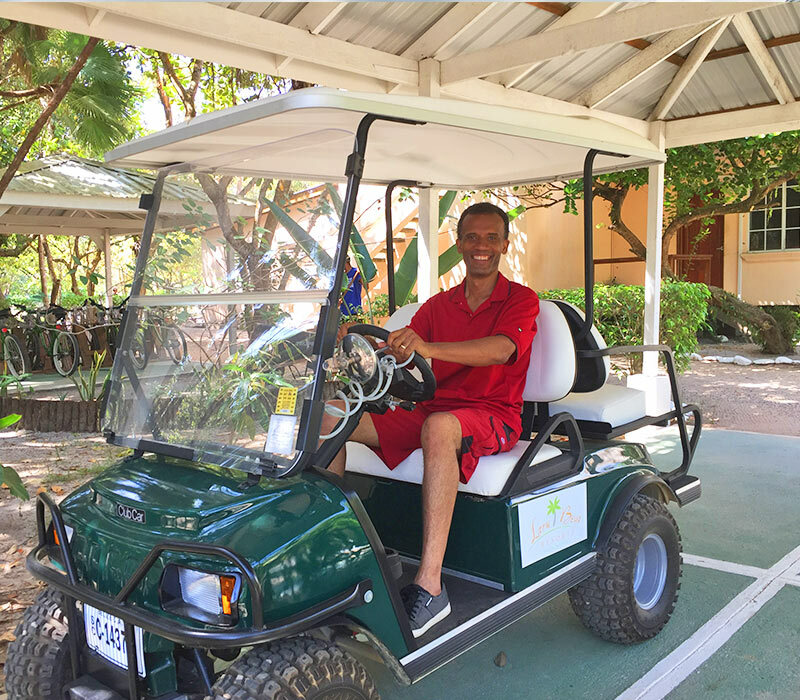 Golf cart rentals can be arranged with the front desk. 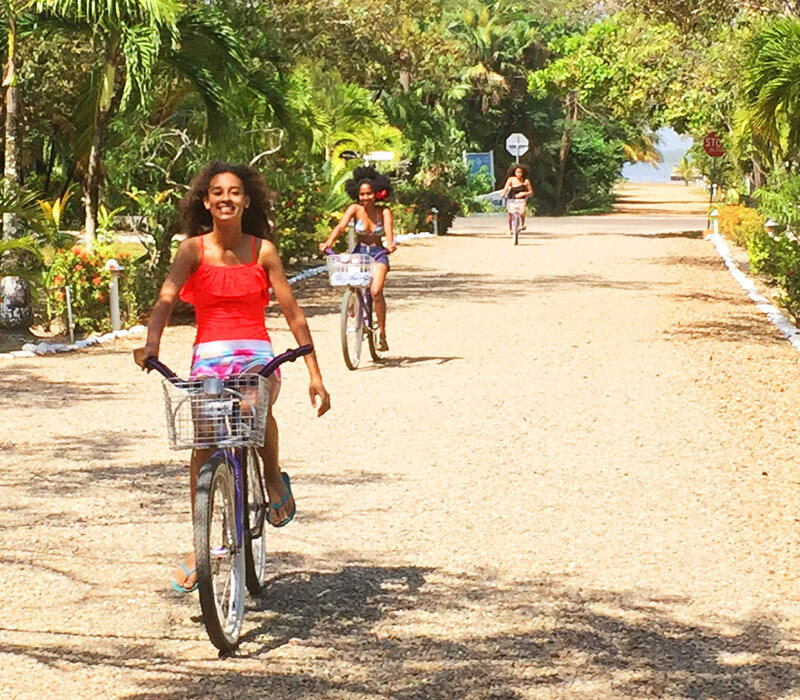 These are great for exploring Placencia and doing a little sightseeing along the peninsula. 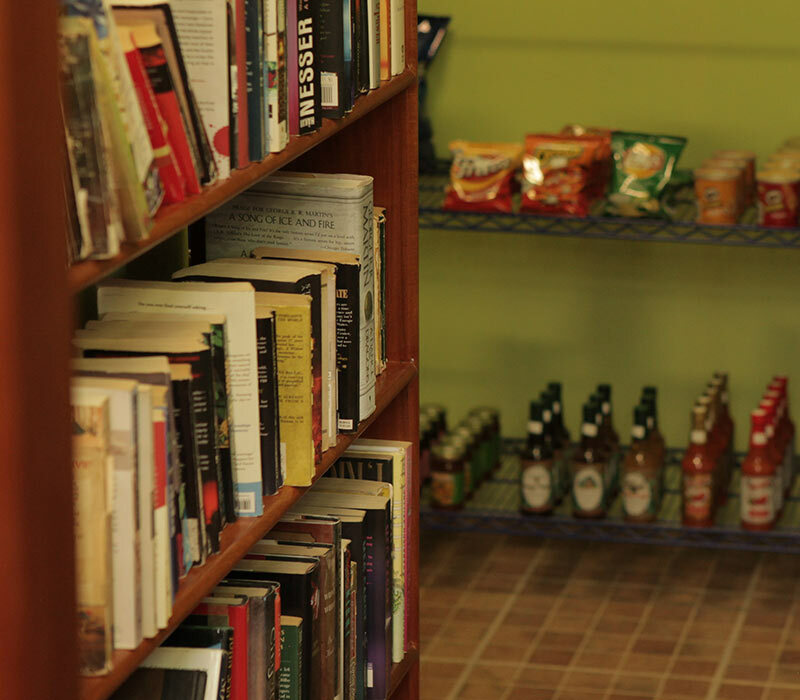 Laru Beya maintains a “leave a book, take a book” lending library, allowing you to trade in a book you brought with you and keep the one you take, or to simply borrow a book for the duration of your stay. 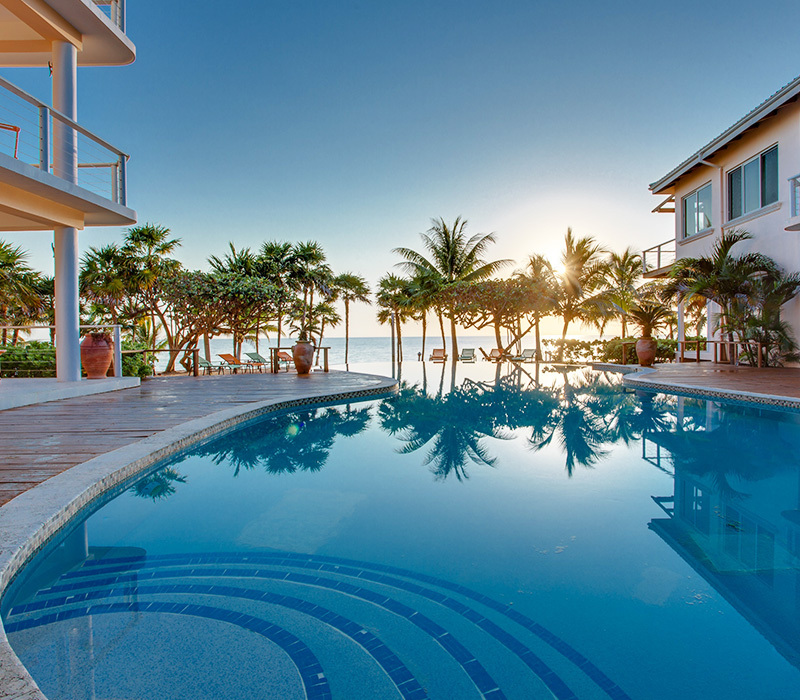 Catch the sunset or sunrise as the perfect background to capture all the magic of your Belize getaway. There are several areas around the resort to snap that perfect shot. Share your photos during your stay or after you get back home with family and fellow travelers. 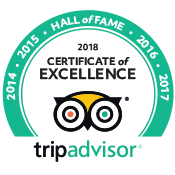 Be sure to tag us (#larubeyaresort). The resort provides complimentary high speed wireless internet. Enjoy browsing the web in the comfort of you room or in public areas.